3mm thick leather. Vegetable tanned and dyed. The flight case of American pilots in the 30s. A legend today. Reissued: The A4 Navigation Bag made from luxurious Italian calfskin. It was the pride of many an American pilot and an indispensable guardian of the navigation papers required at the time: The A4 Navigation Bag from the U.K. Speciality Leathercase Company. Some aficionados still use this cult bag today. It’s hard to find the original from the 30s and 40s though – and they tend to be in terrible shape and go for exorbitant prices of $ 1,500 or more. 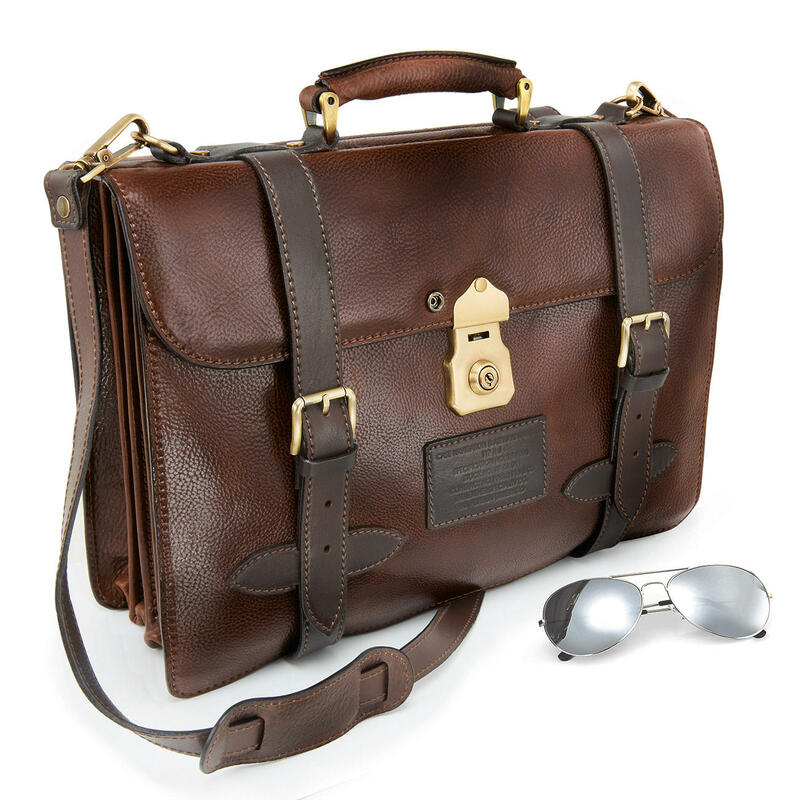 Chiarugi, the Italian leather specialists, reissued this classic modelled after a bag on display in a museum. All the details have been faithfully reproduced – down to the embossed leather label with its precise proof of origin. Guaranteed by the “Pelle conciata al vegetale in Toscana” certificate. Drum-dying instead of surface-dying preserves the natural structure. The rustic leather is “alive” and continued use only makes it more beautiful and adds character. 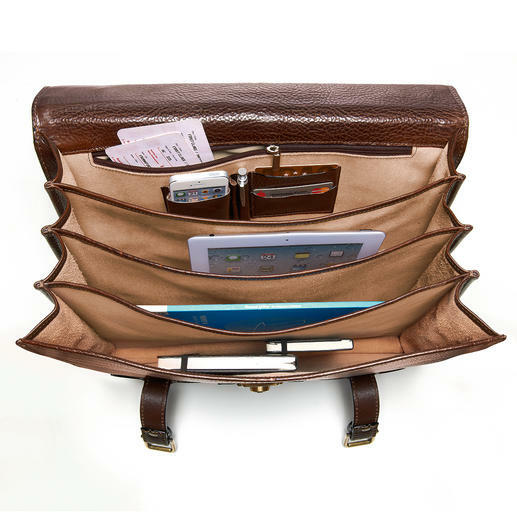 Four compartments – one with a large zipped side pocket, mobile phone pocket, 2 pen pockets and 2 slots for credit cards – keep everything in order. Two belts with buckle clasp allow you to adjust the volume. Safety lock with key. Carrying handle. Detachable shoulder strap. Measures 42 x 30 x 17cm (16 1⁄2" x 12" x 6 7⁄10"). Weighs approx. 2,430g (5.3 lbs). Made in Italy.